In order to explain food science to a room of high school seniors during a career fair at my sons’ high school, I knew I had to bring it to their level. That would be one of having strong opinions that are not scientifically based. For most of these kids, GMOs were developed by the devil and high fructose corn syrup by its cousin. And a “stranger thing” in a parallel universe is responsible for that can of Chef Boyardee ravioli. That was my way in. I asked the kids to think of a center-of-store packaged food that they won’t eat and why. One boy went at with Chef Boyardee ravioli. After I gave him his minute, I stopped him. I explained how there’s an organic counterpart produced under the Annie’s label. Same concept, similar technology to form and fill the mini pastas, and identical retort process to give those cans a shelf life of about two years. That’s food science. He was speechless. I distributed a small paper cup of raw whole almonds to each student and slapped a $100 bill on the table. I challenged them to squeeze the almonds to fill up the cup. I would pay the first student who could squeeze out even one drop of nut juice (thanks KJ for the descriptor). We all know I came home with the cash. This really got them thinking. I explained that science is used to make all types of food, conventional to organic. I opened their eyes to looking at the prepared food to think about its origins, the energy and resources that go into making that food, and even its impact in terms of waste and disposal. Examples and stories, that’s always been my preferred way to communicate. After the almond activity, it was an easy sell for them to see how much less processed cows milk is as compared to nut and pea beverages. Still, someone spoke up and shared her view about it simply not feeling right to drink another mammal’s milk. That’s a valid opinion. One I felt was not mine to counter. This thought process, my friends, is one of the biggest threats to fluid milk. Interestingly, she had no problem with foods made with milk. Something for us to think about. Now, open mindedness is not a strong suit of 18-year-olds who are at the top of the world and basically checked out as they await their college acceptance letters, but I decided I would push a little harder. I still had 10 minutes on the clock. I brought up flavors and colors, and explained how the latter are sourced. One student accused the food industry of feeding him petroleum via artificial colors. I countered him and said that it’s his choice to choose his beverages. I asked him if he was fine with his lemon Gatorade having no color, which would be the same for every other flavor of Gatorade. He said this was not acceptable. 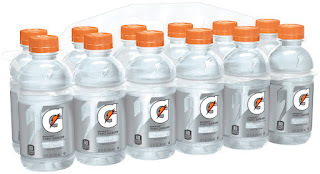 I informed him that his purchasing dollar keeps artificially colored Gatorade in the market, as there once was a clear line that was free of artificial color. No one bought it. I did offer that food scientists are working very hard with trying to develop naturally sourced vibrant colors with the same performance and longevity as their artificial counterparts. 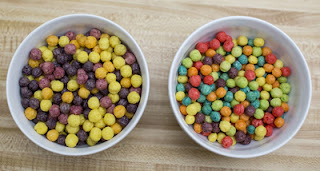 On that note, my younger son cannot be happier that the original Trix has returned. He could care less about the color source. The fact that he often consumes three large bowls with about three glasses of milk in a single sitting works for me. I think that fills his daily dose of numerous vitamins and minerals at a very small price. That’s food science, my friends. It’s delivering safe and delicious nutrition and calories at an affordable price. Food science is also allowing the industry to get creative with milk proteins. It’s time to start thinking about the next-generation of protein-enhanced dairy foods in order to keep dairy relevant with those 18-year-olds who will soon have more spending power. From my recent marketplace and tradeshow observations, I believe there are three huge opportunities for dairy processors for innovation this coming year. 1. Team up with Coffee and Caffeine. It’s time to compete in the energy drink space as well as get more aggressive in sports nutrition. Coffee and milk are a perfect duet. Together they provide natural and sustained energy along with recovery protein. Mövenpick of Switzerland now offers Coffee Shot, which is made from 100% roasted coffee extract and 1.5% fat milk with no artificial additives. 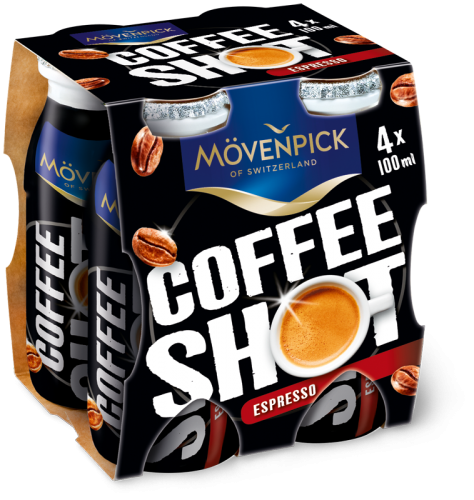 Mövenpick Coffee Shot Espresso is an ice-chilled caffeine kick in shot format. 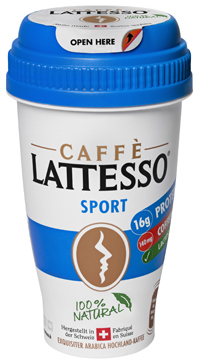 It’s described as an Italian coffee treat with that extra caffeine kick of a triple espresso and is designed to boost energy at any time of the day. 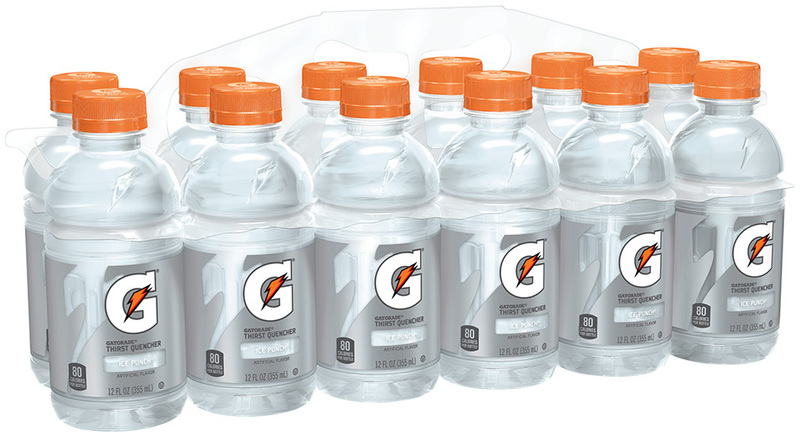 Each 100-milliliter bottle contains 109 milligrams of caffeine and a mere 66 calories, 1.4 grams of fat, 8.4 grams of sugar and an impressive 3.8 grams of protein. With some added whey proteins, this drink could be an endurance shot-style beverage. 2. Focus on Frozen Protein Snacks. There’s a lot of better-for-you products competing for space in retail freezers, mostly in the form of pints or multi-pack novelties. The opportunity is in individual units for the grab-and-go consumer. It’s all about the convenience channel, including the kiosk at the gym and vendors at sports complexes. 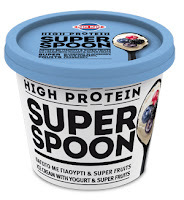 Kri of Greece extends its High Protein Super Spoon brand to the freezer case. The brand made its debut about two years ago as a refrigerated yogurt. Now it’s a frozen product. 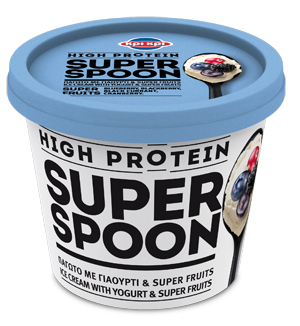 The product is Greek yogurt combined with superfruits and frozen in single-serve cups that come with a spoon. Flavors are: Blackberry, Black Currant, Blueberry and Cranberry. Each 105-gram cup packs in 9.3 grams of protein. In Sweden, Lohilo plans to roll out in early 2018 a line of grab-and-go protein ice cream bars. The initial rollout will be in Caramel & Pecan and Cookies & Cream flavors. The bars are designed to be an alternative to traditional post-workout and energy bars. Lohilio products are “lo” in carbs, “hi” in protein and “lo” in fat. The lactose-free bars contain 3.2 grams of sugar and 6 grams of protein. 3. Go Lactose Free. That brings me to lactose. Back to that room full of high school seniors. Would you believe a show of hands revealed that half the class, if not more, is lactose intolerant? I don’t believe it either. The problem is, they do. Lactose continues to be a major deterrent to consuming dairy foods. All innovation moving forward should make a lactose free claim a priority. Have this work to your advantage in terms of manipulating sweetness and possibly reducing added sugars. That’s what Germany’s Emmi is doing with its Caffe Latte ready-to-drink coffee milk line. The beverage brand now includes a range of lactose-free formulations. 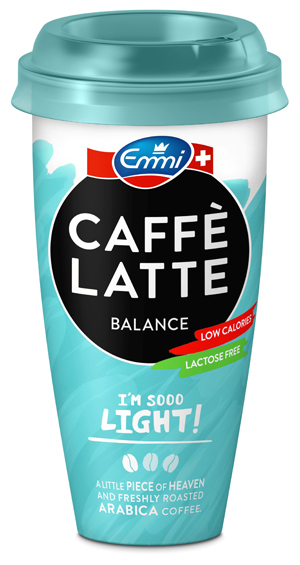 Starting in February 2018, there will be new Emmi Caffe Latte Balance without lactose and reduced in calories and fat. 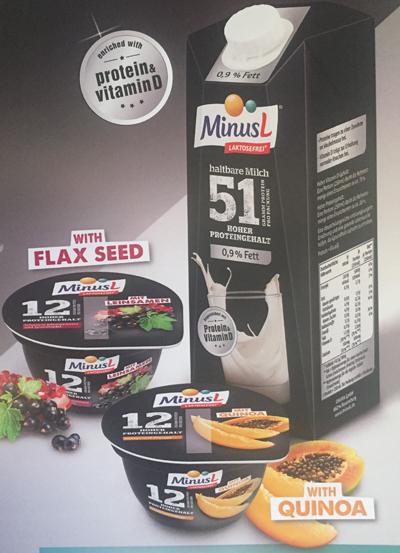 The people at Omira GmbH in Germany have built an entire business around lactose-free dairy foods with its MinusL brand. This month the company is adding three protein power foods to the lineup. There’s a 1-liter milk carton that contains 51 grams of protein and a fresh cheese with fruit cup concept that provides 12 grams of protein. The dairy industry must constantly evolve to stay relevant, to be part of the conversation. Need some additional brainstorming assistance? Let me introduce you to my oldest son’s classmates.